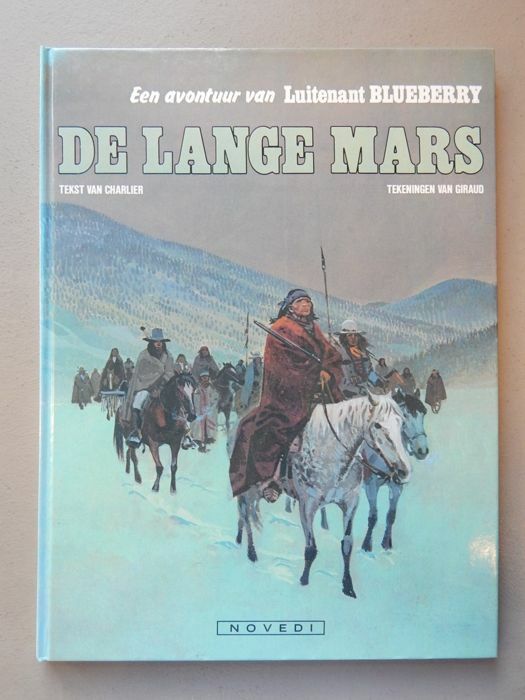 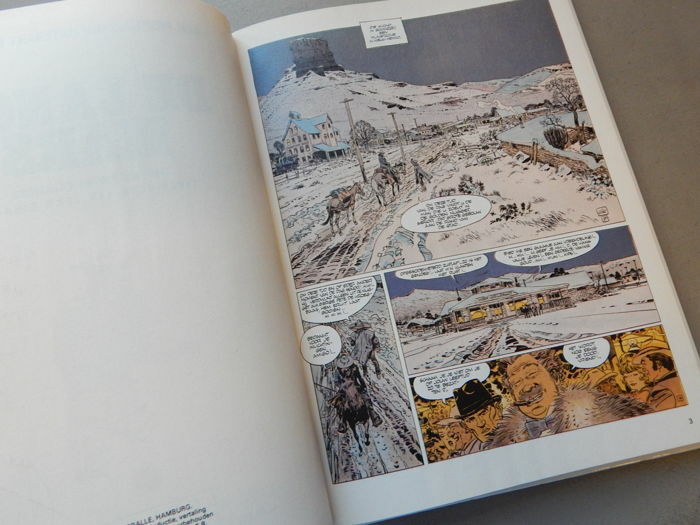 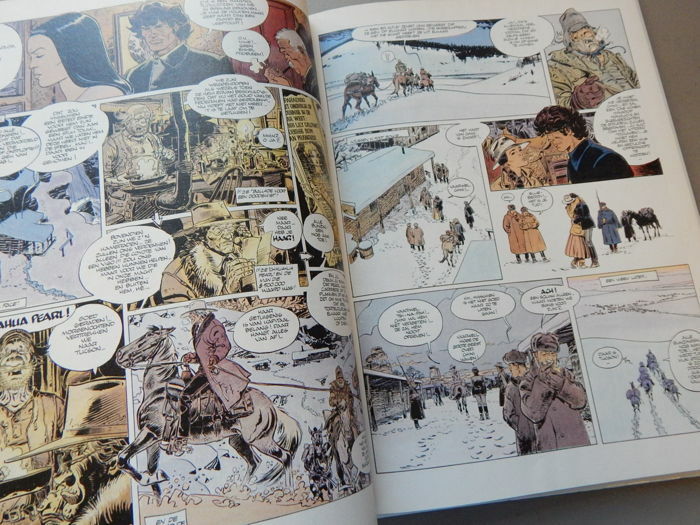 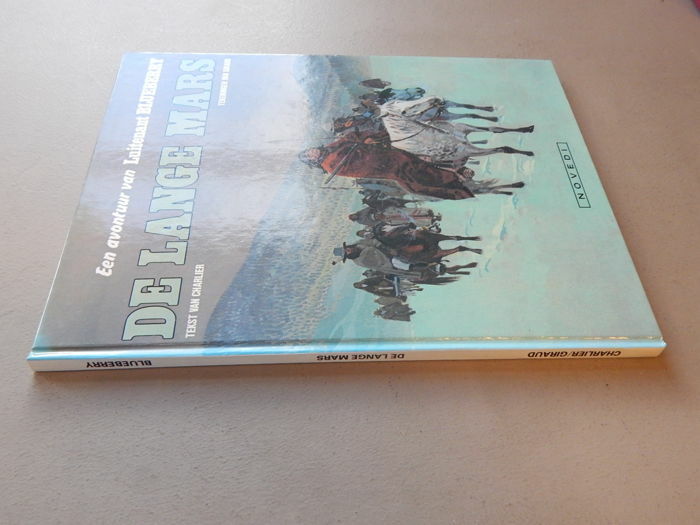 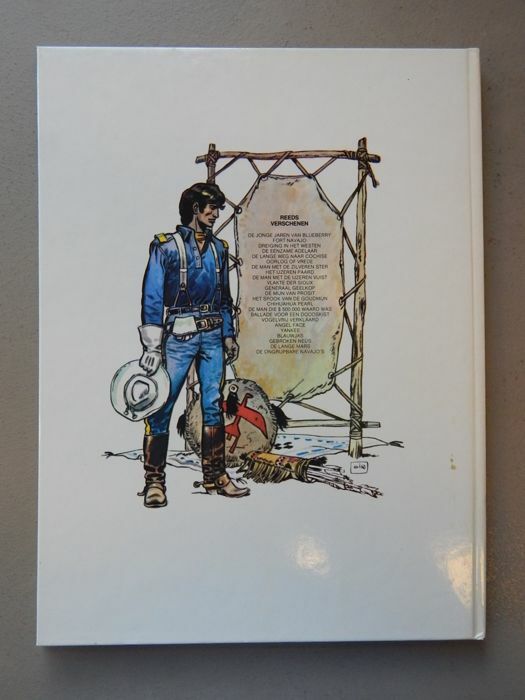 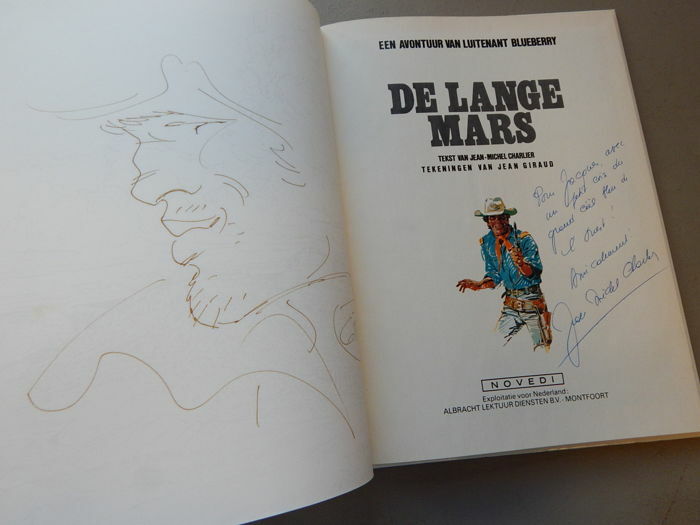 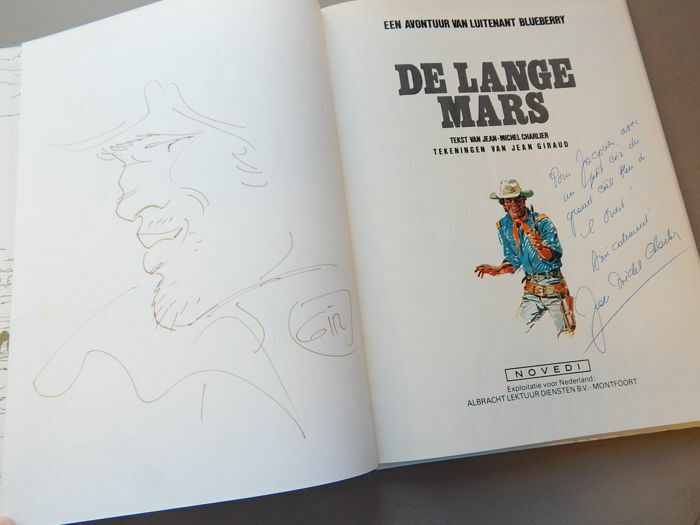 Blueberry hardcover of volume 19 - De Lange mars, first edition from 1982. 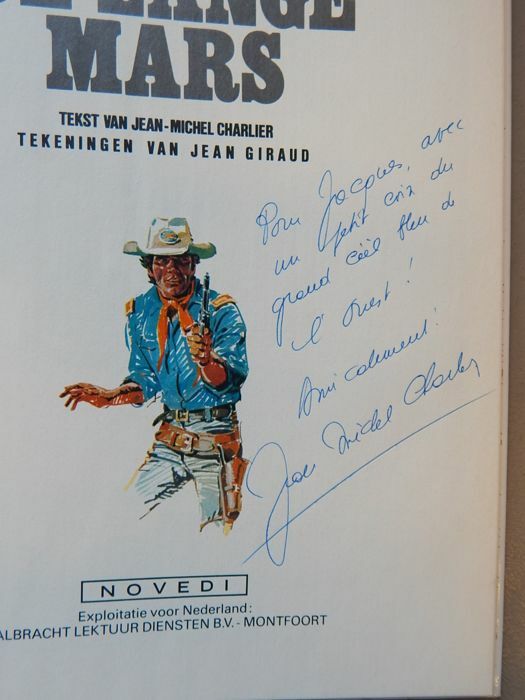 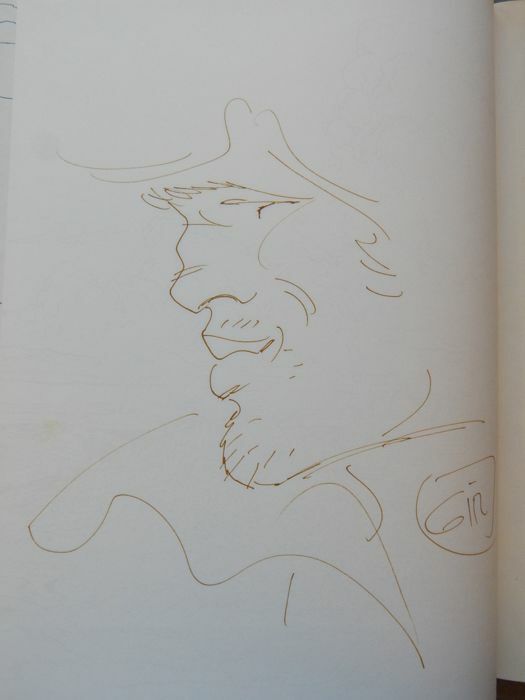 With a page-size drawing of Blueberry on the inside and signed by Giraud, also with a written dedication on the title page by Charlier. 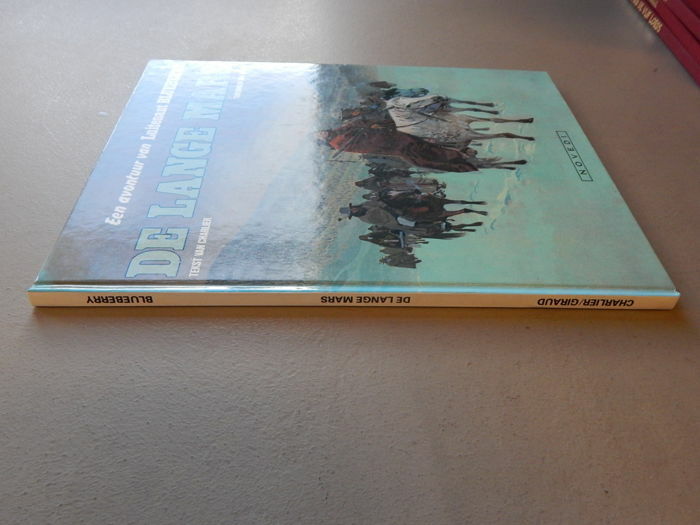 Album in very good condition, spine edge slightly discoloured.